On this podcast Kevin and Bonnie are very excited to be joined by Dominique Provost-Chalkley and Katherine Barrell. 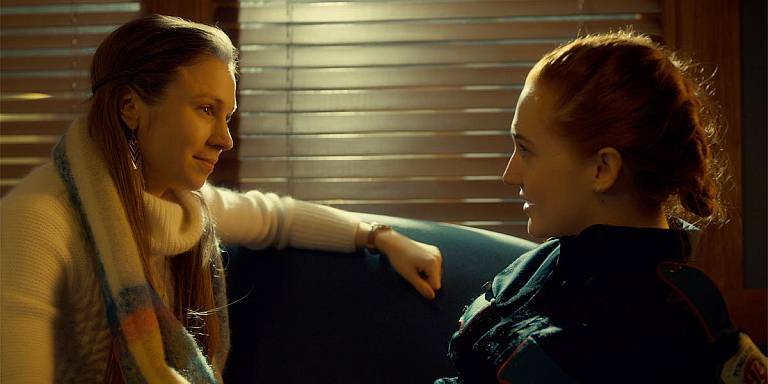 In this interview we chat with Dominique and Katherine about their character journeys in season 1, WayHaught and much more! Safe to listen to after you have seen season 1 episode 13 “I Walk The Line”. This was such a nice podcast, it was great to hear form Dominique and Katherine and to know how both are so wonderful in to share some of their time with their fans and to share their experience on the show. I can’t wait for Syfy to announce the they are going to renew for a 2nd season because I definitely will let them know I want to see more!!! They are OUT-OF-THIS-WORLD NICE!!! I just can’t deal how cute both of them are!!! !